Through out the recovery process, it is extremely important to focus on the positive aspects of yourself and your situation. Drug addiction treatment can bring a lot of emotional struggles, as part of recovering from drugs and alcohol involves recovering from the emotional impact that an alcohol or substance use disorder has. In recovery, you may be dealing with a range of emotional symptoms of withdrawal, including rebound anxiety, depression, and an increase in mental health disorder symptoms. In our programs, we use intensive therapies to address substance abuse and uncover its root cause. We provide a range of therapies, including: individual therapy sessions, group therapy, behavioral therapies, adventure therapy, activity therapy, and equine therapy. Our intensive therapies may bring up and explore strong emotions, which can be intense. Through out the recovery process, it is important to celebrate your achievements and use positive affirmations to remain in a positive mindset. Positive affirmations are positive statements that can help to combat negative thinking. We encourage guests to use positive affirmations to help aid them in making positive changes in their lives. Positive affirmations are basically reminding yourself of all the good things about you, and encourage you to keep moving forward in challenging times. Telling yourself positive things actually prepare the brain for change. Studies show that using positive affirmations make it easier to make positive changes. Using positive affirmations change your neuroplasticity, or the science of rewiring your brain for different patterns of thought. These 100 positive affirmations are the perfect counterpart to our comprehensive addiction treatment programs. We help guests with a drug or alcohol addiction using various intensive therapies and therapeutic activities that will bring meaning into their lives. Drug treatment doesn’t have to be intense; when you temper your negative thoughts with positive affirmations, you are setting yourself up for success. These affirmations are also perfect for any family and friends who have a loved one in treatment. In our treatment centers, we encourage guests to use positive affirmations to rewire their brains for positivity. We also provide cognitive behavioral therapy to challenge any negative thought patterns. 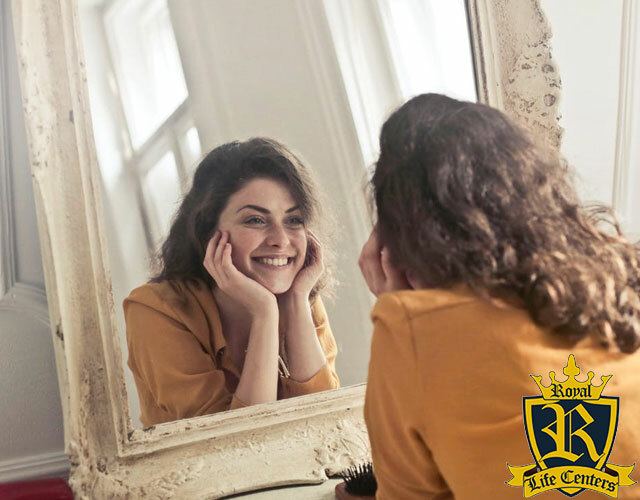 Royal Life Centers has a variety of addiction treatment options, including: medical detox, a residential inpatient program, a partial hospitalization program (PHP), an intensive outpatient program (IOP), an outpatient program (OP), sober living and graduate housing. “30 Awesome Goal Setting Affirmations (How to Stop Procrastinating and Get Things Done).” Develop Good Habits, 2 Jan. 2019, www.developgoodhabits.com/goal-affirmations-stop-procrastinating/. “1,132 Positive Affirmations: The Ultimate List of Positive Mantras.” Develop Good Habits, Ezoic, 11 Mar. 2019, www.developgoodhabits.com/positive-affirmations. Gadiel, Rachel. “50 Positive Affirmations for Goal-Getters to Cultivate Wild Success & Abundance.” Personal Growth, Mindful Living, Rachel Gadiel, 12 Feb. 2018, rachelgadiel.com/blog/50-positive-affirmations-goal-getters-success-abundance. If you, or someone you love, is struggling with an addiction, please reach out to our addiction specialists at (877)-RECOVERY or (877)-732-6837. Our addiction specialists are available to take your call 24/7. Because We Care.